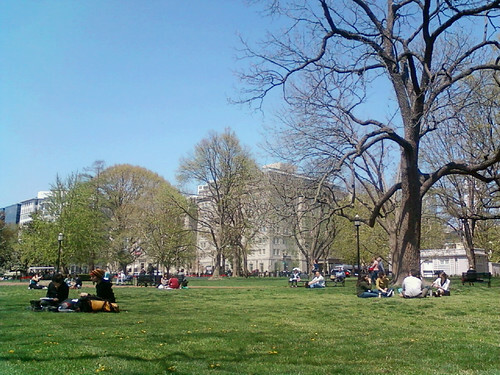 Lafayette Park is green. Weather is at 70 degrees. 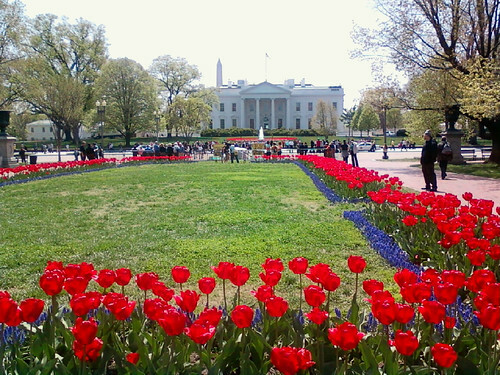 Spring has sprung at the White House. Workers, students and tourists at lunch time. 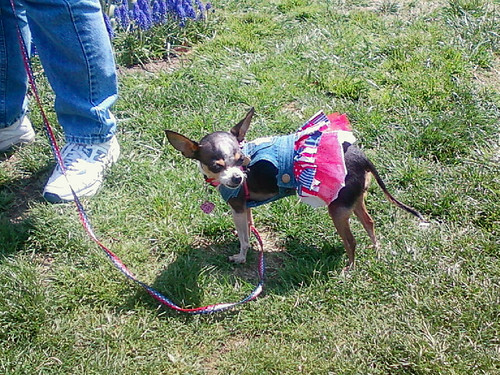 I met this cute girl near the Tulip garden. Apparently, there's a dog and dog owners tour going on at Lafayette Park. 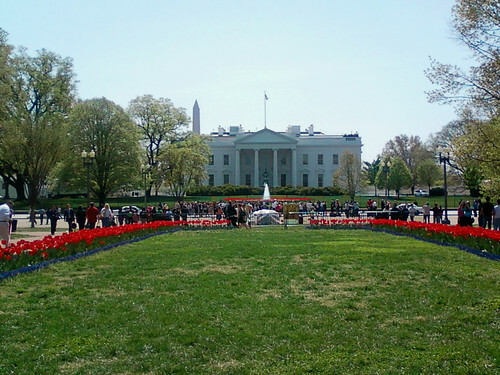 View of the White House from Lafayette Park. Happy Friday and I wish everyone a great weekend! What gorgeous tulips. It looks like spring has coming your way too.